A GMO (genetically modified organism) is the result of a laboratory process that takes genes from one species and inserts them into another (with something called a gene gun!) in an attempt to obtain a desired trait or characteristic. Hence, they are also known as transgenic organisms. This process may be called either Genetic Engineering (GE) or Genetic Modification (GM); they are one and the same (from the Institute for Responsible Technology). Yeah, sounds pretty scary right? That’s one of the reasons why we have no interest in putting GMO or GE ingredients in any of our products. The other is that evidence is mounting that GE crops are slowly polluting our land here in the United States, as well as around the world. We feel it is essential to take part in the movement to protect the food supply for us and future generations. The pesticide and food companies responsible for GE technology want us to believe industry talking points that GMOs will save the world by feeding starving people worldwide, increase yields, make crops drought tolerant, or reduce pesticide usage. In all truth, these are nothing but false claims. The evident intention behind GMOs or GE crops is for pesticide and chemical companies to sell more pesticides and chemicals. It has been shown throughout numerous studies and finds, particularly from the Union of Concerned Scientists, that GMOs actually do not do all of the things that are claimed of them. In fact, what has been revealed shows quite the opposite. This information is unsettling for many, but it needs to be spread and understood. Check out the 2009 report “Failure to Yield” for another great example of this failing technology. Since RoundUp Ready Crops were introduced, between 1996 and 2008, there has been an increase in herbicide use by an estimated 383 million pounds. (You can find out more information at the Organic Center website). Aside from the environmental impacts—damage being done to our ecosystem and the loss of biodiversity—GMOs may also affect human health. There have never been any long term human studies on GMOs and what they do to us. In fact, the FDA leaves it to the responsibility of the manufacturer, and then the manufacturer (bio-tech, in this case) says it is the FDA's job to assure safety. Phil Angell, Monsanto’s director of corporate communications was quoted in the New York Times, on October 25, 1998, stating: “Monsanto should not have to vouchsafe the safety of biotech food. Our interest is in selling as much of it as possible. Assuring its safety is the FDA's job.” Since GMOs were first introduced, there has been a revolving door between the FDA and Monsanto. Most recently was the Seralini study, highlighting the serious truths and risks associated with GMOs (Monsanto’s Roundup Ready corn in particular). Just a few problems that came up were liver congestion and necrosis in males, mammary tumors in females, and overall disruption of hormones. This is not yet being accepted by mainstream media in the United States, but around the world people are in an uprising and governments are responding by taking heavy action to protect their nation and their people. Scientists, for years, have tried to document studies, but once a study is released that is not in Monsanto’s favor, they are put on a gag order, threatened, and most often fired. Jeffrey Smith discusses of a few of these cases here. Groups around the world are coming together to protect our food purity and biodiversity. If enough people can unite around this issue and really support small farmers, good working conditions, and permaculture, we will have clean food and air. We do use Vitamin C and Vitamin E in some of our products, but we source them from non-GMO and conscious providers. Our air, water and soil are all very precious and beneficial to us and for the herbs that we grow, harvest, wildcraft, and eventually put on our skin. Keeping the land pure and clear of pesticides is thus something we must believe in and unite on. Living with nature, rather than against it, is the only way to live healthily. We encourage you to be active in your community, like we strive to be. 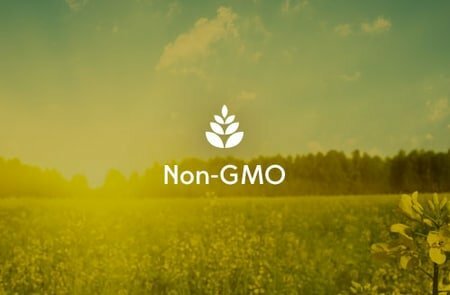 We are a California based company that participates in many activities around the idea of labeling genetically engineered foods and creating a tipping point to shift the market to eliminate GMOs. Please check out LabelGMOs.org to get involved with your local community members and help build awareness!